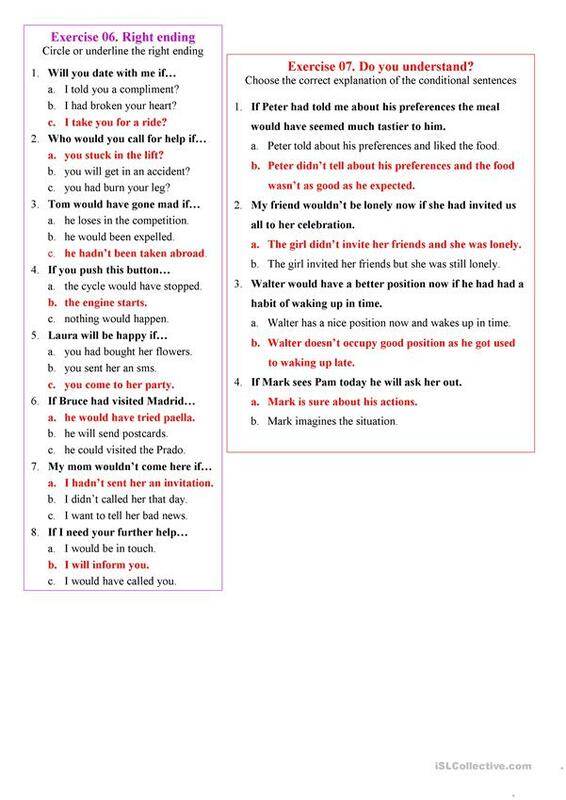 I've tried to create the ultimate practice of this topic having included mixed conditionals as well. 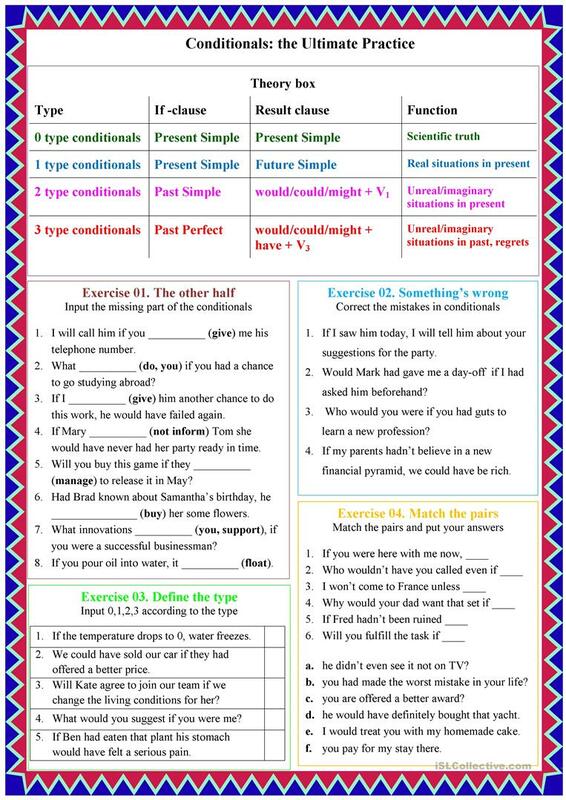 The theory boxes are brief, but enough to keep it in your mind while trying to do the exercises. Of course, the KEYS are attached. Your comments are warmly welcome. Feel free to write about mistakes found as well, it'll help to make this material even better. The above downloadable printable was created for high school students and adults at Upper-intermediate (B2), Advanced (C1) and Proficient (C2) level. 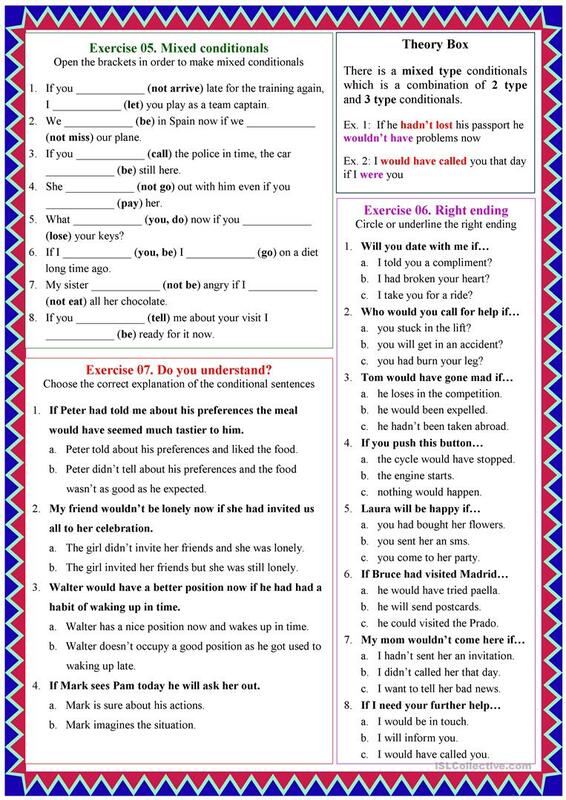 It is aimed at revising Conditionals in English, and is a valuable material for honing your class' Speaking, Reading and Writing skills. It centers around the theme of Daily routines.